Cambridge Sensors is a UK- based manufacturer of medical sensors for the treatment of diabetes. Cambridge Sensors Ltd was founded in 1991 and is led by a highly experienced management team which has an outstanding track record in the field of diabetes devices going back over 25 years. The company was founded in 1991 under the name Environmental Sensors Ltd and began operations at the institute of Biotechnology at Cambridge University (“IOB”) in 1992. In 1997 the Company was renamed Cambridge Sensors. Also see www.cs-limited.co.uk. Cambridge Sensors USA, LLC was opened in January of 2011 as a means of providing the US market with improved logistics and factory direct distribution. 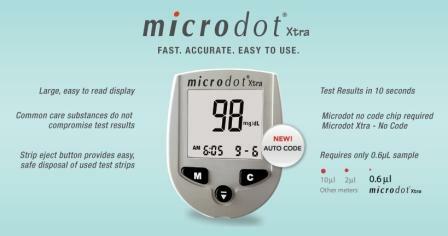 The company markets Microdot® and Microdot Xtra® as the Brand offering. In addition, offers OEM private label blood glucose systems. Cambridge Sensors position in the diabetes market is to offer value aimed at price sensitive users who want high quality product.